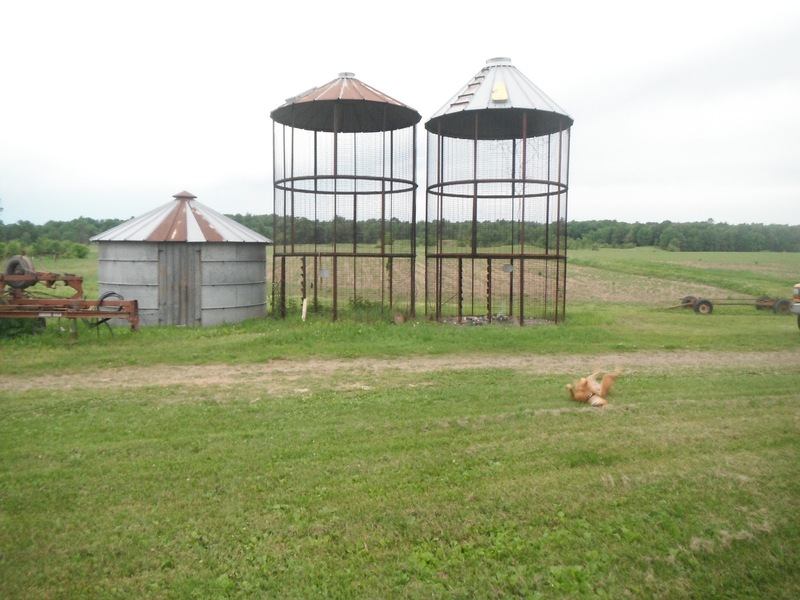 I converted the two old corn cribs into chicken/poultry coops. I wanted to reuse the structures. 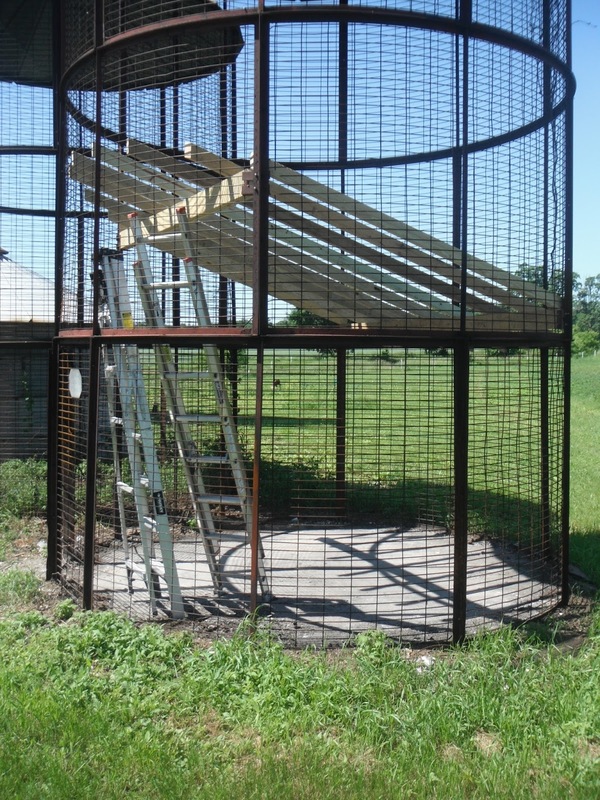 They are still strong and have concrete floors, good for keeping predators from tunneling into them. To start I put up two roofs, positioned to deflect the prevailing westerly winds. The challenge was to build the whole thing from below - framing, plywood, and waterproof membrane. An angled plane through a cylinder (aka a corn crib) is an ellipse. 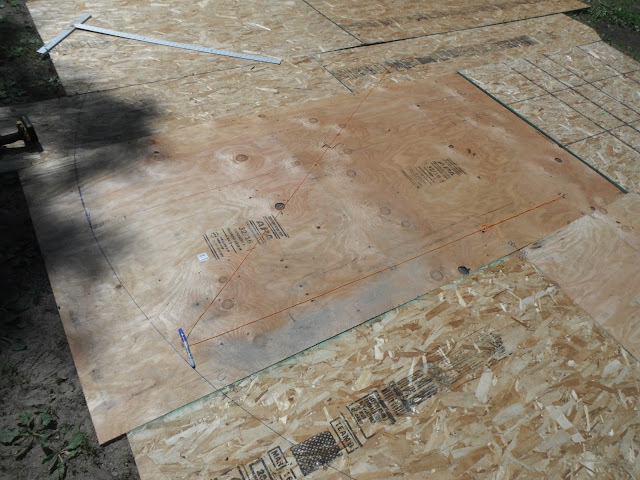 So I laid out one of the proper size on plywood using a string, sharpie, and 3 screws. Then welded up some angled metal brackets to bolt onto the corn crib frame. Set built up beams into the brackets and laid rafters on the beams. Put the cut out plywood and waterproof tarps on top of the beams. Cut a passage way between the two corn cribs. Lined the whole thing with 1/2" hardware cloth to keep out weasels (apparently they can squeeze through a hole the size of a quarter.) 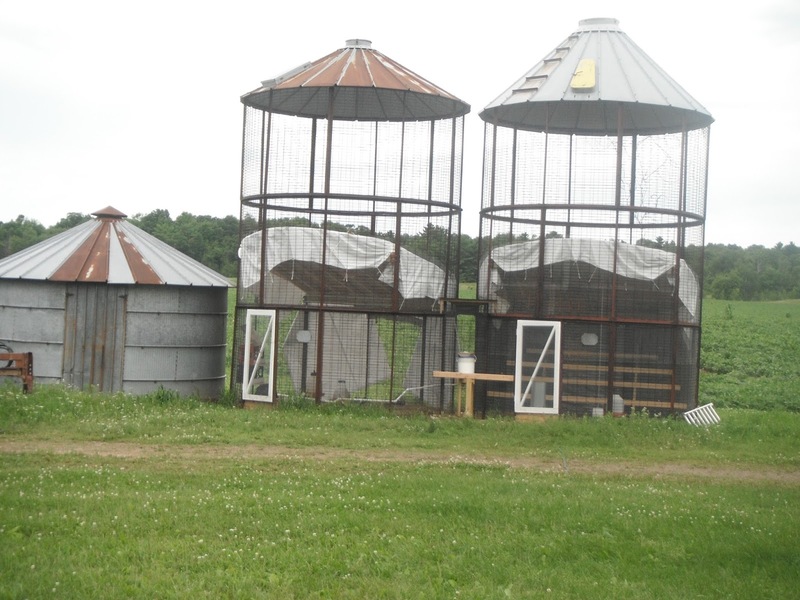 Built and installed doors, water piping, roosting bars, nesting boxes. 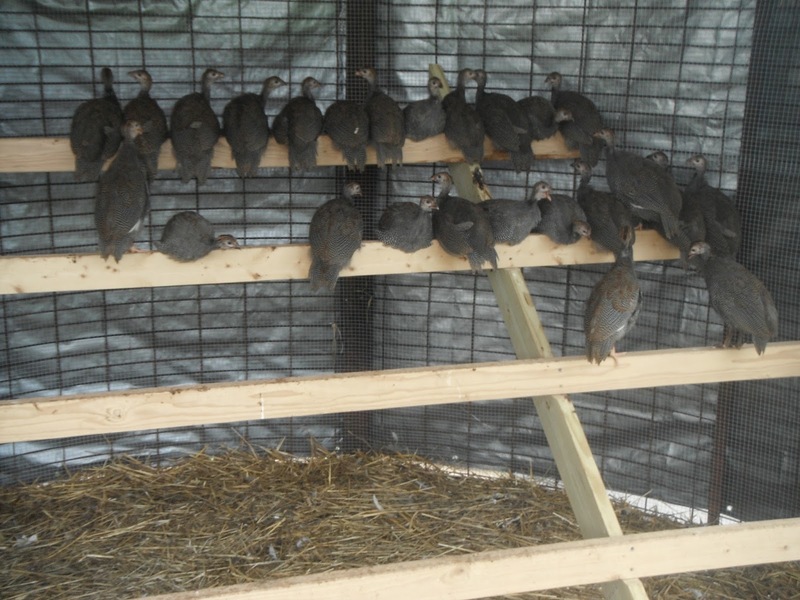 Time to move the roughly 40 birds from their brooders over to the new housing. 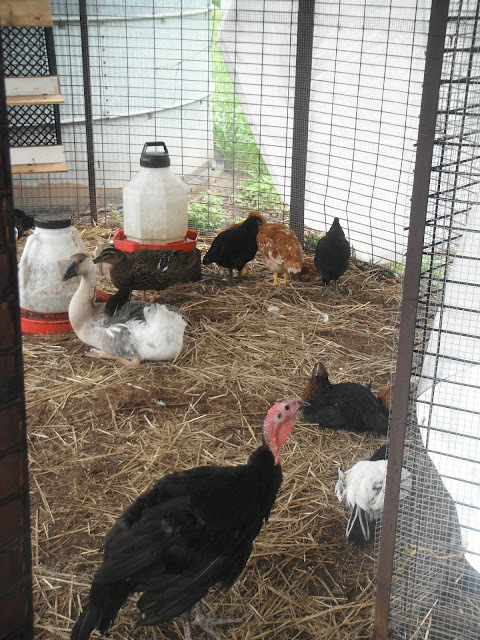 There are 25 guinea fowl (about 4 weeks old) as well as 10 laying hens, a rooster, 2 geese, 2 turkeys, and 2 ducks (all 2 months old). They'll spend the next two weeks in the cribs day and night, getting used to the idea of their new home. Then I'll open the doors during the day and let them back in at night, where they'll be secure from predators. At this point I'm planning on killing/eating the geese and ducks. If it turns out I have a male/female pair of turkeys, I'll keep them over the winter and hope they have poults in the spring. The guinea are meant to eat ticks; the laying hens to lay eggs. 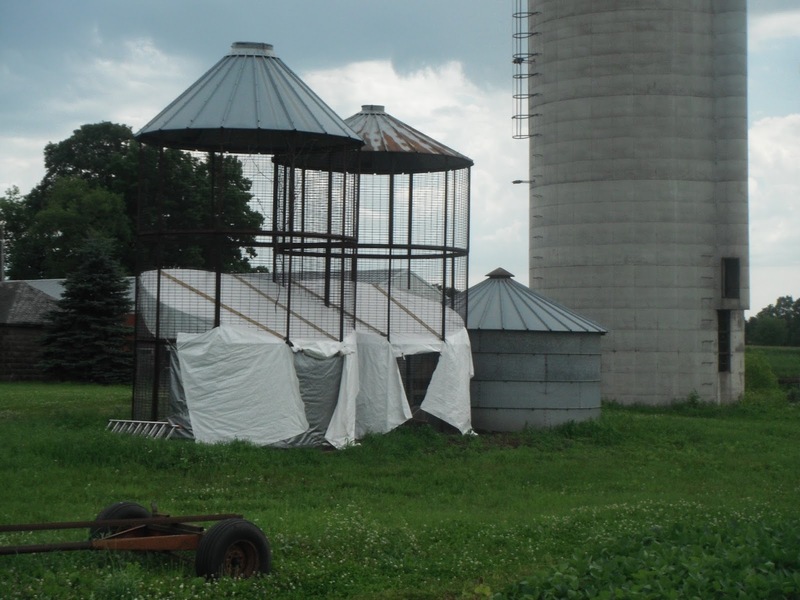 To winterize them, I'll still need to wrap up the outside of the cribs with a few more tarps.